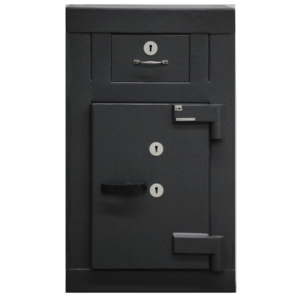 The JL206-series, equipped with the most advanced security technology, is Julong’s all-rounder. 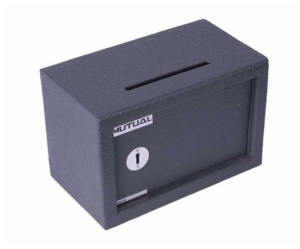 It can be used as a classic banknote counter, value counter, or comprehensive fitness sorter. Equipped with a multitude of functions the JL206 shines in any professional environment and will meet all of your requirements. The variety of our products allows us to address all of our customers’ wishes and offer individualized solutions. 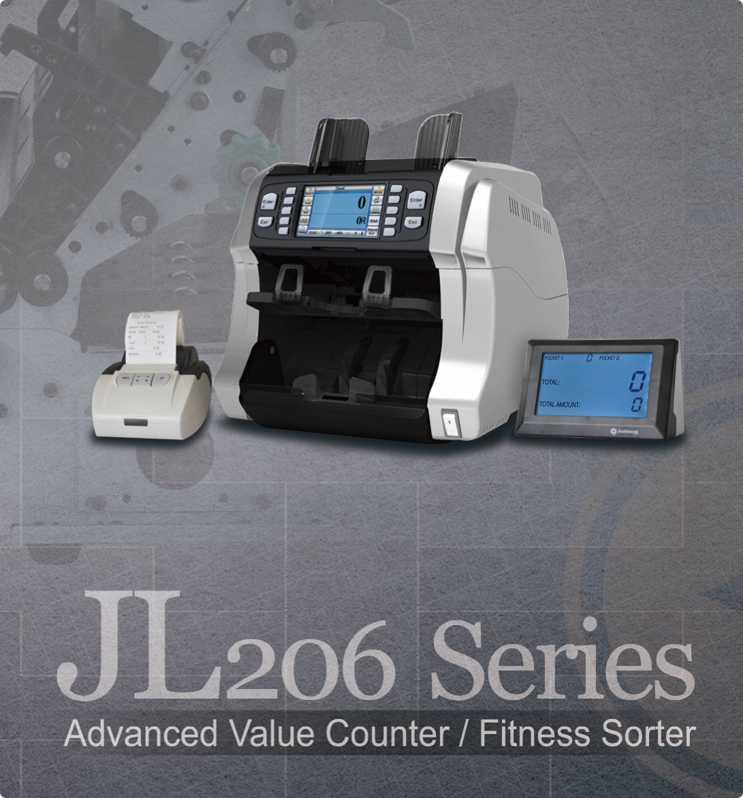 You can choose the JL206F, a fully operational fitness sorter with high repetition accuracy, or the choice might fall on the JL206V, which can be used as a cutting-edge, non-stop value counter and also serves as a fitness sorter (without tape recognition). If only a basic value counter is needed then the JL206GV represents a very cost-effective solution. 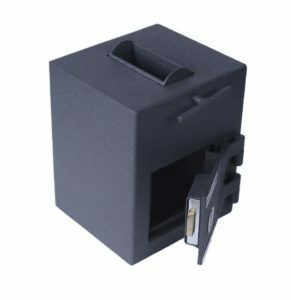 With the JL206-series you are able to upgrade your machines within 20 seconds via USB stick. You can even do it yourself at your own facility without having to pay high technician costs. Get quick and easy software and security feature updates, ensuring that your machines are always up-to-date and ready for action. 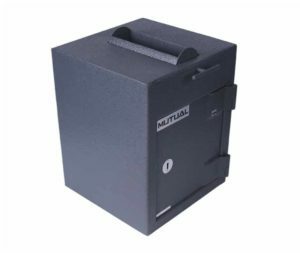 The image recognition module with its multiple CIS is able to recognize each banknote’s individual serial number and fully decode it. 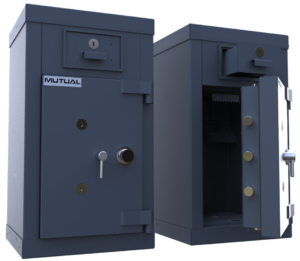 It can compare the serial numbers to blacklists, either stored internally or externally via network, and will notify the operator if a blacklisted number was found. 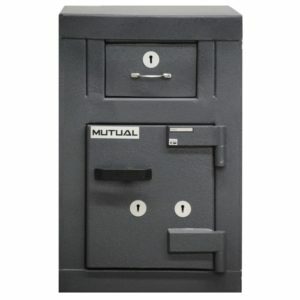 This will stop counterfeit money immediately at the branch level and greatly hinder its spread. 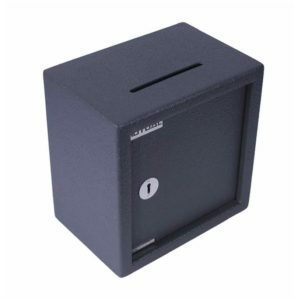 The JL305 is equipped with an ingenious mechanism allowing it to pass banknotes from full pockets to a depository, thus freeing up the pocket for the micro processor to continue processing more notes. Physically the JL305 is, in its basic configuration, equipped with four output-pockets and one reject-pocket. Thanks to the “virtual pockets” the machine is able to effectively double this number. 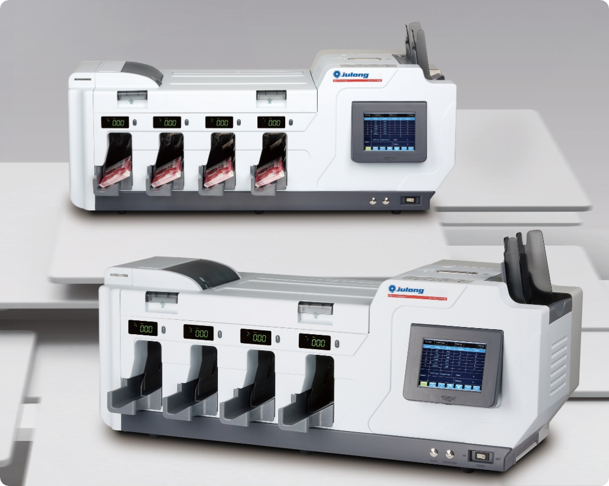 The virtual pockets allow the machine to be continuously fed with banknotes, thus maximizing efficiency. 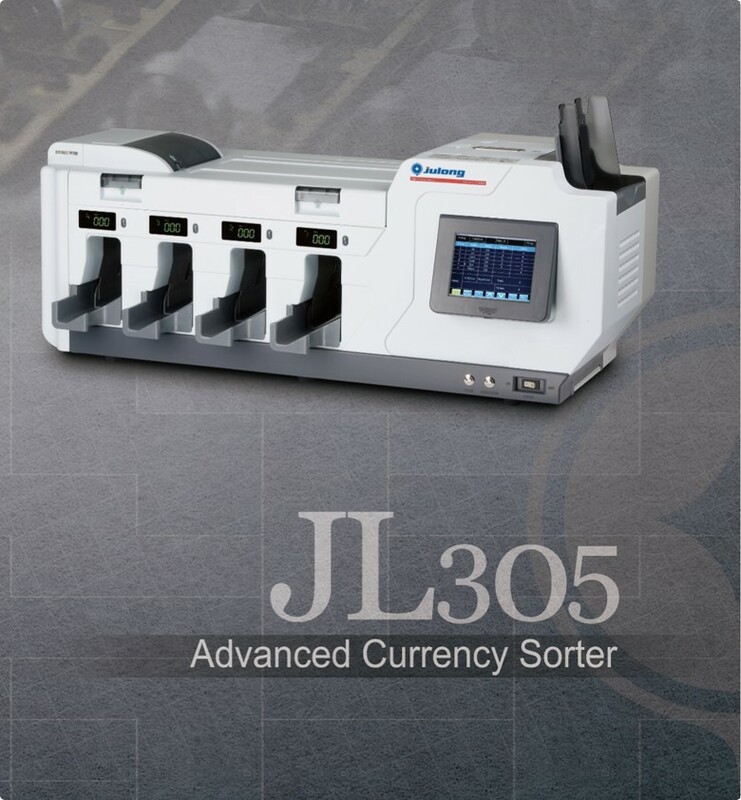 The JL305 is superior to other machines, especially in those cases where notes are sorted according to multiple parameters. The JL305’s entire transportation route is straight and flat. 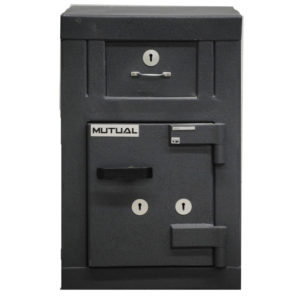 This greatly reduces the risk of jamming and banknote overlay. In the unlikely case of a jam the machine’s entire top cover can be removed, presenting the whole transportation route and allowing to clear any jams effortlessly. The JL-305 provides two pockets per sorting category (plus virtual pockets) enabling a continuous non-stop feeding, maximizing efficiency. Output pockets can be assigned to any category or parameter. the user interface is user friendly incorporating a touch screen with navigation keys making the JL-305 easy to operate. The JL-305 operates up to 800 notes per minute, independently of the mode of operation. The operators interface features a touch screen with navigation keys, automatic stop start function, user adjustable presets for sorting criteria, batch stops and totals accumulation (end of batch, end of job, and end of day) of all notes counted. The flat VGA shows not only the results of a process, but also the status of the unit. 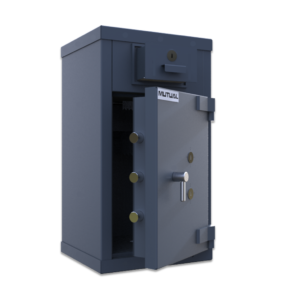 The retail Drop Safes meet the SABS (Cat 2 ADM, Cat 3, 4 & 5) requirements against various forms of burglary attack. 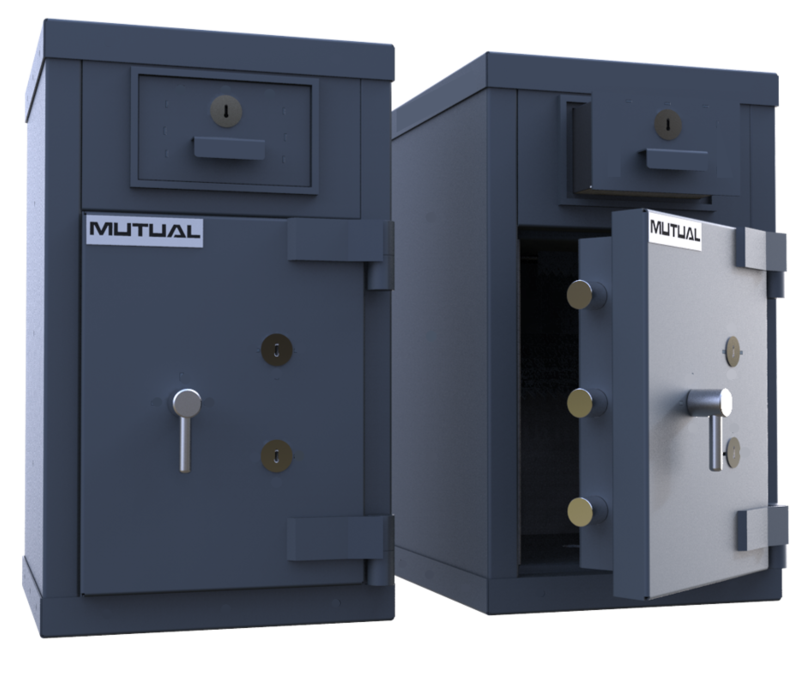 The sophisticated methods of lock picking or pin point drilling are negated by the use of high security locks, hard plates, highly responsive re-locking devices. Additional protection is offered against forceful attack methods. These methods include cold chisels, drilling machines, various hand tools as well as high speed grinders. 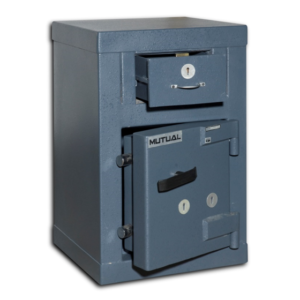 The deposit drawer also has adequate protection against similar forms of attack. 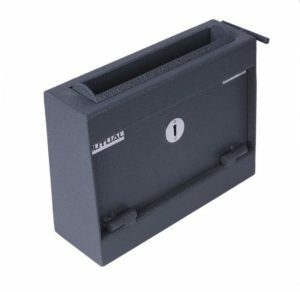 In addition, protection against the illegal removal of deposits through the drawer is provided through a system of baffle & anti-fish plates. 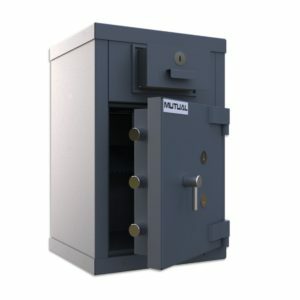 Alternative locking is also available.